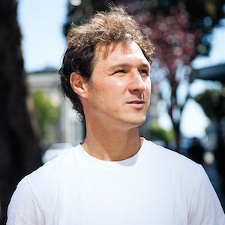 Jed McCaleb is regarded by his peers as something of a genius when it comes to cryptography, P2P protocols, and all the other framework systems that support the implementation of blockchain architecture. He is a serial entrepreneur that has been involved in the founding of a number of tech companies over the years. He has co-founded 2 notable blockchain companies that many experts believe can become the new Bitcoin. Jed is an avid surfer and likes to retreat to places like Costa Rica and Brazil where he can get to ride powerful waves for fun. No stranger to controversy, Jed McCaleb is seen by many as a polarizing character in the crypto community but there is no denying his genius. Jed McCaleb was born in 1975. He spent his formative years in Little Rock, Arkansas. He briefly attended UC Berkeley before dropping out while still in his freshman year to begin his career as a tech entrepreneur. In 2008 his wife MiSoon Burzlaff became pregnant and gave birth to a daughter. Less than 2 years later, the couple had a son and the family moved from Williamsburg to upstate Patterson. Long before his foray into the blockchain technology space, Jed had already been establishing tech companies. A gifted programmer and cryptographer, Jed had drawn comparisons over the course of his career with the father of modern computing and artificial intelligence, Alan Turing. Cryptography has always been Jed’s strong suit and it has manifested itself throughout his years in the tech industry. Jed dropped out of UC Berkeley and co-founded eDonkey in the year 2000. eDonkey was a file-sharing company much like Napster which was already starting to experience operational difficulties. Jed teamed up with Sam Yagan to develop the eDonkey Network, also called the eDonkey2000 network or eD2K for short. The program was a P2P file sharing network that allowed large files to be shared among users. The network architecture was decentralized meaning no files were hosted on any central server but shared directly between users. By 2004, eD2K had become the most popular file-sharing network on the web overtaking FastTrack. Boasting as many as 200 servers, eD2K was handling an average of nearly 2 billion files being shared by approximately 3 million users. Nearly half of these users were being hosted on the Razorback2 server until 2006 when the law enforcement agents in Belgium seized the server. By 2006, the RIAA sued MetaMachine Inc., the company responsible for developing and running the eD2K client program. MetaMachine Inc. paid $30 million and agreed to discontinue the distribution of the eDonkey software program. The suit came about on the grounds of alleged copyright infringement due to unauthorized sharing of licensed music on the eDonkey Service. Both Jed McCaleb and Sam Yagan escaped any legal actions. eDonkey began to decline and Jed soon left the program. By the following year, BitTorrent overtook eDonkey as the most popular file sharing service on the web. Thus, began the age of Torrent and advanced P2P file sharing protocols. While Jed McCaleb and MiSoon Burzlaff were starting a family in 2009, an unknown Satoshi Nakamoto was launching Bitcoin, a blockchain-based payment processing system that would give birth to the blockchain and crypto revolution. 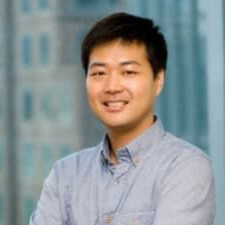 With his experience in many of the core technologies that support the blockchain architecture such as decentralized P2P networks and cryptography, Jed soon became attracted to Bitcoin. He certainly found blockchain tech to be an interesting proposition and soon began to explore the technology in detail. Having taken an interest in blockchains and cryptocurrency, Jed soon began to take an interest in the space that went beyond the technical aspects of the industry. Of particular interest to him was the economic stability of cryptocurrencies. Without a platform for currency trading, cryptocurrencies didn’t stand any chance of surviving. It was with this in mind that he decided to create the Mt. Gox Bitcoin exchange platform in July of 2010. Mt. Gox stands for Magic: The Gathering Online Exchange, which was a fantasy-card trading exchange service that Jed had created a while back. He owned the domain and so decided to rewrite the domain code to a Bitcoin exchange service. Curators of the history of cryptocurrency will no doubt mark this moment as a pivotal turning point in the wider cryptocurrency narrative. Within months of the Mt. Gox exchange platform launch, the service had become widely popular in the crypto community. Jed soon sold the platform to Mark Karpelès. In 2014, the service suffered the largest recorded crypto exchange hack that resulted in the theft of 850,000 Bitcoins valued at $450 million. Jed had managed to create two successful, albeit short-lived tech enterprises but he was not to be deterred in his efforts to succeed in the tech world. He soon began to carefully study Bitcoin from an operational perspective and a few of the major flaws in the system caught his attention. He then set out to create a cryptocurrency that was immune to the flaws inherent in Bitcoin. Together with David Schwartz, Jesse Powell, and Arthur Britto, Jed created a new consensus protocol called OpenCoin Inc. Jesse Powell invested $100,000 into the enterprise and development began in earnest. Despite the technical capabilities of the all-star development team, they lacked the necessary business acumen to succeed. 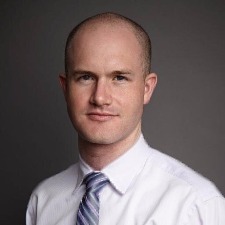 Chris Larsen, a noted success in the online business scene soon joined the project as CEO. OpenCoin soon became Ripple under the aegis of the Ripple Labs. With Chris Larsen at the helm, the pedigree of the Ripple Project in the eyes of mainstream VCs became significantly enhanced. The project was able to establish useful banking relationships, something that no other cryptocurrency had been able to achieve. Over time, a strain developed between Jed and several members of the Ripple board, including Chris Larsen. Most of the disagreements seemed to be centered on the relationship between Jed and Joyce Kim, and the effect it was having on the running of the company. In 2013, Jed McCaleb left Ripple under less than cordial circumstances. After almost a year on sabbatical, Jed McCaleb returned to the crypto limelight with a new project called Stellar which is a direct competitor with Ripple. The project shares a lot of similarities with Ripple and has continued to grow steadily in the market. Stellar is a decentralized blockchain money exchange protocol. While Ripple concentrates more on B2B money exchange services through its payment gateway processing protocol, Stellar focuses more on B2C transactions. Like Ripple, transactions are almost instantaneous. Jed McCaleb has two children from his ex-wife MiSoon Burzlaff. After the couple’s divorce, Jed began dating his colleague and collaborator, Joyce Kim.